Our mission is to provide the highest quality comprehensive healthcare to our patients. Our patients are not an interruption in our work. Our patients are the purpose of it. We treat patients of all ages, the whole family. We strive to deliver “Same Day Service” by offering same day appointments and responding to all messages, lab results and other requests within one business day. We offer many services including chronic illness management, treatment of acute illnesses, pediatric development screenings, immunizations, annual physicals and wellness exams, well-woman and child check-ups, disease management, minor injury care, onsite diagnostic and laboratory testing, and much more. We accept almost all insurance, Medicare and Medicaid health plans. We know that you have a choice when it comes to your family's health and we are honored that you've chosen us. 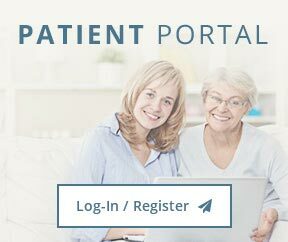 We now offer a patient portal where you may access your medical records and lab results, make appointments, communicate with staff, and view and pay bills online. We encourage you to browse our site and learn more about our practice. Dr. Gary Birdsall is a board certified Family Practice physician with over 28 years of clinical experience in the South Lafourche community. 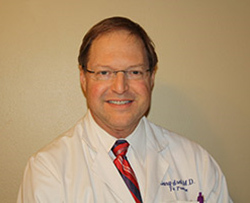 Dr. Birdsall graduated from Louisiana State University Medical School and completed a residency training at Earl K. Long Memorial Hospital in Baton Rouge. He has held an active license with the State of Louisiana since August of 1984. He was born and raised and currently resides in Cut Off, Louisiana. As a Family Practice physician, Dr. Birdsall treats patients of all ages, the entire family. He has extensive experience in both pediatric and geriatric care. Dr. Birdsall performs comprehensive evaluations and treatment of many chronic diseases such as hypertension, diabetes, lipid disorders, and respiratory disorders. Dr. Birdsall practices preventive medicine through utilizing wellness, screening and testing to help prevent disease.